Levitical rules and regulations regarding blood and sacrifice, offerings and priests, cleanness and uncleanness at first appear irrelevant to twentieth century Christians. Yet large portions of the New Testament can hardly be understood at all apart from some understanding of these Old Testament concepts. What does it mean for believers to be a royal priesthood? A holy nation? For Christ to be our great high priest? Our passover lamb? 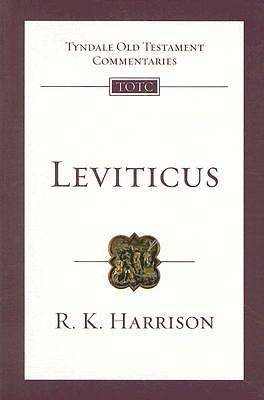 R.K. Harrison illuminates these ideas within their Old Testament context, thus providing the needed background for their New Testament development. The original, unrevised text of this volume has been completely retypeset and printed in a larger, more attractive format with the new cover design for the series.